Hi! Have I talked about how ready I am for summer? Jenny Dixon of Craft That Party and I have a BIG, FUN announcement to make! 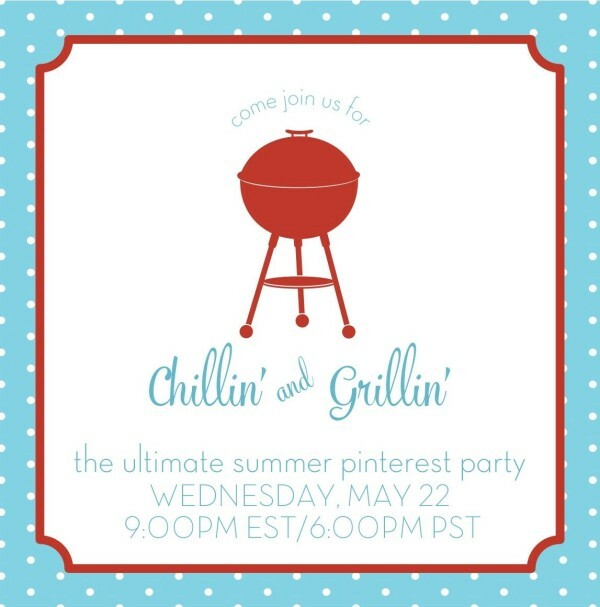 We are kicking off the summer season with a 1 hour PINTEREST PARTY Wednesday, May 22 9pm EST/6pm PST. Tuesday we will be back sharing some top secret, SUPER HUGE news about the event!!! I CAN BARELY CONTAIN MYSELF! !